FYFYA WOTO | "POWER TO THE GOD WITHIN"
POWER TO THE GOD WITHIN is a multi sensory experience inviting the community into a sacred and shared space provoked and stimulated by expressions of identity, community and spirituality. Through moving and still imagery, multi-media art installations, sound and performance art, the artist invites you to reimagine your SELF and the world you occupy daily. 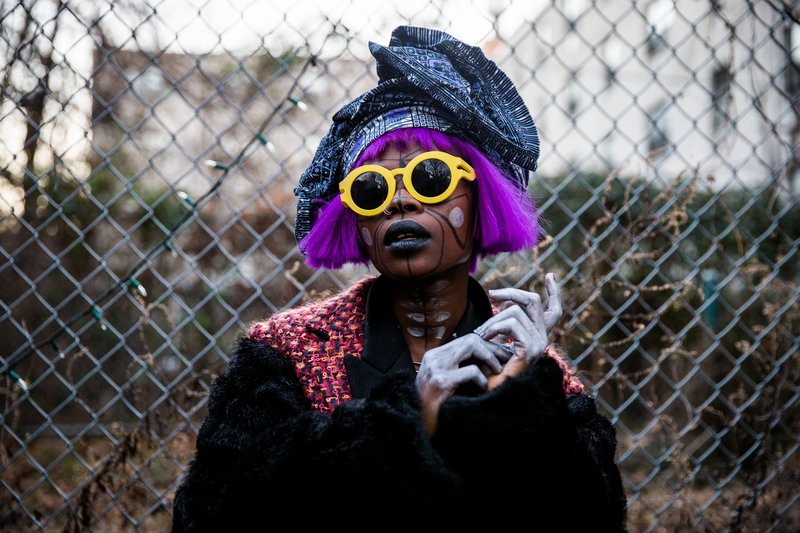 JOJO ABOT is a Ghanaian artist expressing herself through music, film/photography, literature and performance art. FYFYA WOTO, meaning New Birth – New Discovery serves as the theme and title for her ongoing project exploring the SELF as a provocative tool in the discovery, exchange and evolution of the subject of IDENTITY. Through her work, Abot Investigates new forms of spirituality and expression as part of a growing global conversation around shared space, identity and spirituality that exists beyond the conventional bias of color, race, class or sexual orientation. Recently wrapping a year in NYC as a member of the New Museum’s incubator program, NEW INC Abot moves on to a residency at the acclaimed National Sawdust also in NYC. Abot has toured with the incredible legend, Ms Lauryn Hill in the past year. Playing shows at Radio City Music Hall, Greek theater and others along with Common, Seun Kuti and Stephen Marley. Having performed at iconic venues such as the Apollo Theater, Times Square on New Year’s eve to a 1 million plus audience, Museum of Modern Art, Kennedy Center and Kings Theater among others, Abot continues to connect with the global audience.